The label printing solution for Windows application developers. 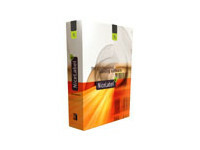 NiceLabel SDK (Software Development Kit) is the desktop integration edition of bar code and RFID smart label printing. The NiceLabel SDK (software development kit) enables software publishers to integrate professional bar code and RFID smart label printing into their desktop software product. NiceLabel SDK has all of the label design functionality of NiceLabel Pro and includes deployment rights for the easy-to-distribute NiceLabel Engine that is embedded in the software publisher’s desktop application. Integration of label printing into your software application gives your software additional functionality. At the same time the end users do not even see the NiceLabel interface because the software application uses NiceLabel label printing power in the background. 1. Create label templates with NiceLabel Pro (part of the NiceLabel SDK) on the developer’s desktop. 2. Integrate the NiceLabel Engine into the custom application using the NiceLabel programming interfaces. 3. 3rd party application’s installer installs and registers NiceLabel print engine to the end user’s computer. 4. Copy label templates to the customer’s desktop computer. Use only one reference to label printing in your application. NiceLabel SDK provides an easy reference to the library of functions that makes label printing a seamlessly integrated feature of your application. NiceLabel Engine is the print engine for label files. NiceLabel Engine includes full printing functionalities found throughout the NiceLabel family. Make the NiceLabel Engine a seamlessly integrated component of your software application and integrate label printing to other Windows-based applications through the ActiveX or .NET programming interfaces (NiceLabel Engine does not support label design capabilities). Use NiceLabel Pro, the advanced label designer for professional bar code and RFID labeling, to design label templates that are deployed with your software application. Design the label template once but have your application print the label to any printer on the market. Use the NiceLabel SDK merge module to include the installation of the NiceLabel components in the setup wizard of your software application. The label printing functionality is fully integrated in your application’s installation wizard. NiceLabel SDK is the right tool for integrating bar code and RFID label design and printing with thermal printer support into 3rd party software applications. Allen, Altec, Argox, ATD, Avery, Bixolon, Blazepoint, Brady, CAB, Carl Valentin, Century, Citizen, Cognitive, Compuprint, Comtec, Datamax, Domino, Eltron, EPC, Etimark, Extech, Facit, General Code, Genicom, GOD BM, Godex, IBM, ILS, Imaje, Intermec, Italora, ITD, Lapis, Markem, Markpoint, Meto, Mectec, Microcom, Monarch, MPH, Novexx, O’Neil, Open Date, Pago, Paxar, Postek, Printronix, QLS, Ring, Sartorius, SATO, TallyGenicom, TEC, Tharo, Toshiba, TSC, UBI, Unimark, Wasp, Zebra, Ziptape. NiceLabel products are Unicode aware software. The Unicode encodings (like UTF-8 and UTF-16) are supported in database files and plain text files (.TXT, .CSV, .XML). The data encodings are automatically recognized. Certified by Microsoft, Oracle and GM; Included support for standards such as GS1-128 (EAN.UCC 128), EPC, ASC (FACT), Transfer Syntax, HIBC, ISBT 128, AIAG, ODETTE, GM1724, FDA 21 CFR 11 and many more.